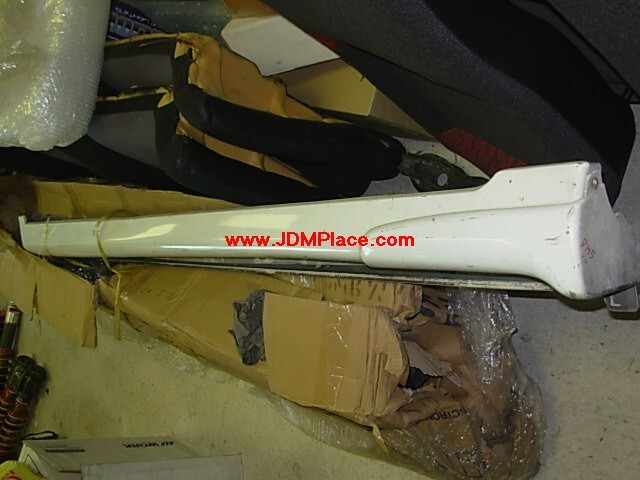 JDM GGA 02-07 Impreza Wagon rear top spoiler. Fits all 02-07 Impreza wagon. JDM 05+ Legacy Spec B front bumper. Fits 05-07 Legacy models. Rare JDM B4 Legacy E Tune edition aluminum hood with scoop for 00-04 Legacy sedan or wagon. Perfect for swapped cars. Rare JDM BE/BH Legacy B4 E-tuned edition side skirts with front aero mud guards. Fits all 00-04 Legacy models. JDM STI GC8 GF8 Impreza Version 5/6 rear bumper with rear spats, fits 93-01 Imprezas coupe/wagon/sedan.